According to a study done by Juniper Research back in early September, failures by the cryptocurrency market to achieve footholds in China and India coupled with trading volumes cut by more than half over the past six months are suggesting that the entire industry is ripe for an implosion. According to the study, daily Bitcoin (BTC) $6568.50 +0.03% transaction volume fell from 360,000 in late 2017 to just 230,000 daily transactions as of September 2018. At the same time, the value of these daily transactions also fell from $3.7 billion to less than $670 million and the pace of cryptocurrency transactions within the entire market contracted from $1.4 trillion in Q1 of 2017 to less than $1.7 trillion for the entire year. 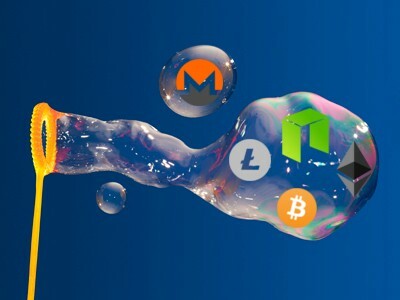 Ever since a myriad of cryptocurrencies reached all-time highs back in December of last year and January of this year, cryptocurrencies as a whole have shed upwards of 80% of their monumental gains achieved between 2013 and 2017, with approximately 80% of them now trading/selling for less than a penny. On the flip side however, Bitcoin has been able to stabilize over the past two months into a trading range of between $6200 and $6600 on average. But a sudden decline in trading volume over the past two weeks is threatening to completely destroy investor sentiment in the asset class. While Juniper's study does validate what many in the crypto sphere have realized over the past several months, it does not necessarily mean that the current trading volumes and declining investor sentiment are leading to a complete implosion of the markets. In fact 2018 has seen most of the sentiment shift over to what are known as Stable Coins (asset backed cryptocurrencies) rather than in unbacked tokens like Bitcoin, Ethereum, and Litecoin, and this trend could eventually lead to an even greater market share should sovereign governments deem to move their currencies into a blockchain based digital platform.